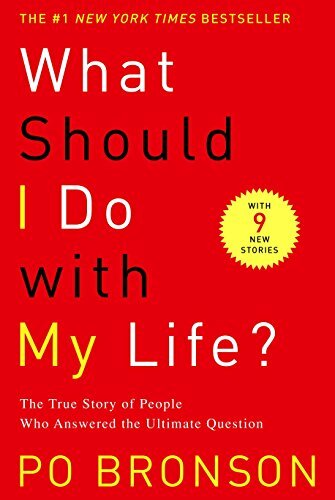 <b>&#x201c;Brimming with stories of sacrifice, courage, commitment and, sometimes, failure, the book will support anyone pondering a major life choice or risk without force-feeding them pat solutions.&#x201d;&#x2014;<i>Publishers Weekly</i></b><br /><br />In&nbsp;<i>What Should I Do with My Life</i>? Po Bronson tells the inspirational true stories of people who have found the most meaningful answers to that great question. With humor, empathy, and insight, Bronson writes of remarkable individuals&#x2014;from young to old, from those just starting out to those in a second career&#x2014;who have overcome fear and confusion to find a larger truth about their lives and, in doing so, have been transformed by the experience.&nbsp;<br /><br /><i>What Should I Do with My Life?</i>&nbsp;struck a powerful, resonant chord on publication, causing a multitude of people to rethink their vocations and priorities and start on the path to finding their true place in the world. For this edition, Bronson has added nine new profiles, to further reflect the range and diversity of those who broke away from the chorus to learn the sound of their own voice.